I’m currently following the portion of National Cycle Route 1 that’s named Coast and Castles. It certainly lives up to its name. 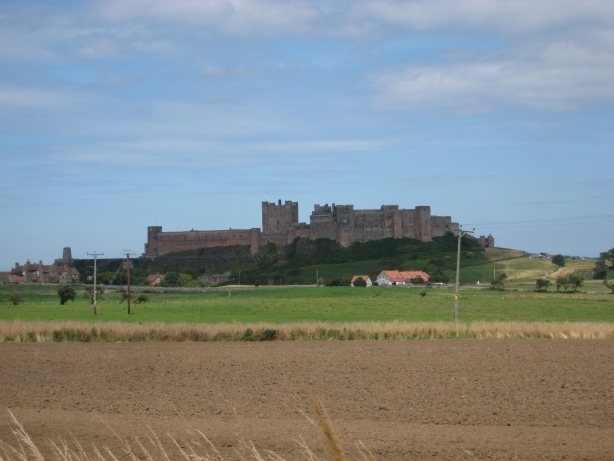 Several portions of the cycle route follow the Northumbria Coast Path and there are plenty of castles along the way. 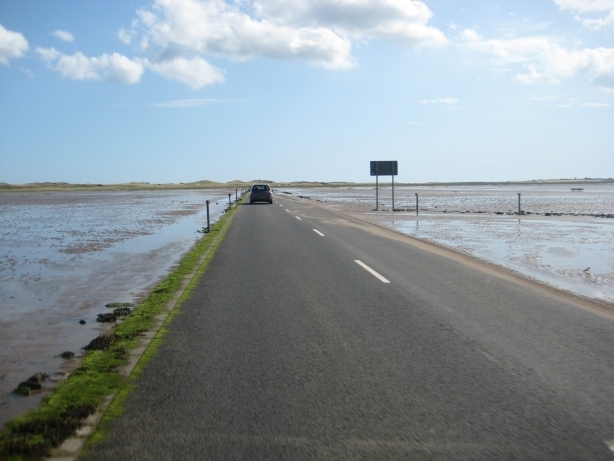 11 miles into my journey there was the option of following a spur of NCR1 out to Holy Island. This goes across a causeway that’s only accessable a low tide, and luckily that was the case when I arrived. Riding across to the island was a strange experience with the water so close. 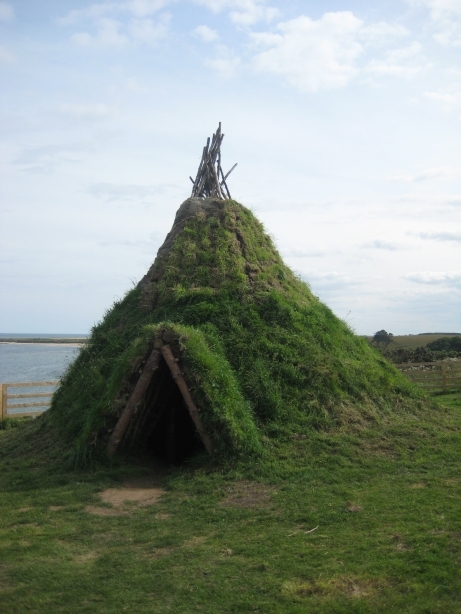 On Holy Island I was presented with the first castle: Lindisfarne Castle. Back on the mainland the next castle was the magnificant Bamburgh Castle. 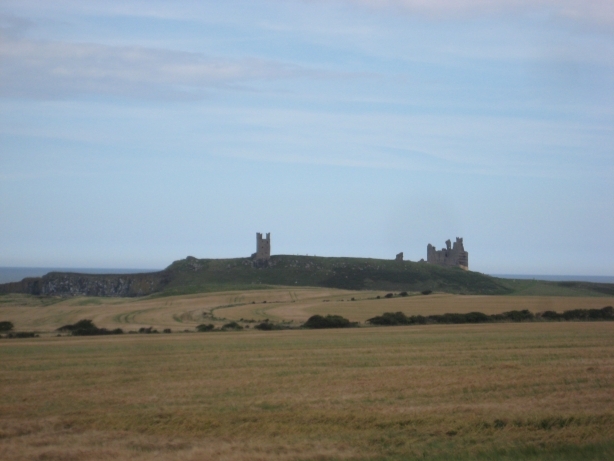 The route then passes nearby to Dunstanburgh Castle. 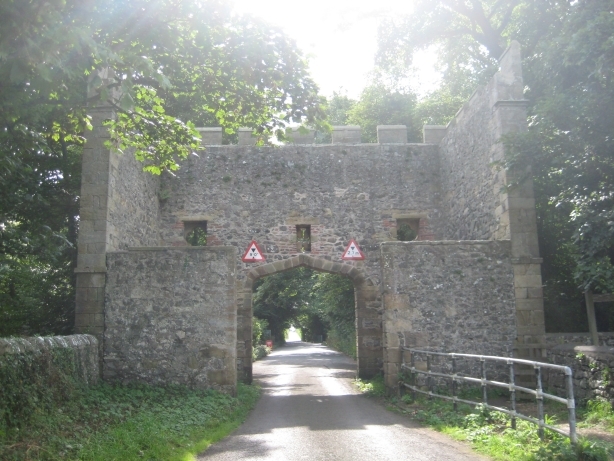 Then, near to the village of Craster was the Craster Tower, spanning the road. Near to Howick the site of a stone-age hut was found. Today there’s a rebuilt hut standing there beside a traffic-free braid of the cycle route. 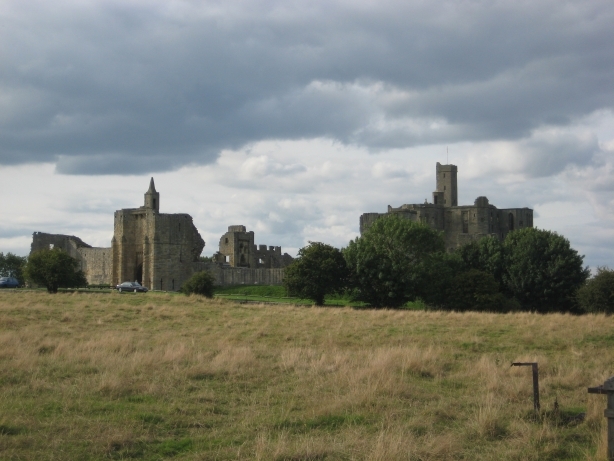 Further still the cycle route passes straight by Warkworth Castle. Sustrans, the charity behind the National Cycle Network, have been publicising the Coast & Castles route pretty strongly lately. That’s obviously paying off because I’ve seen lots of cyclists on this section of the route, many of them with the Coast & Castles Sustrans map. Well done Sustrans. This entry was posted on Saturday, August 15th, 2009 at 18:16 and is filed under Cycling. You can follow any responses to this entry through the RSS 2.0 feed. You can leave a response, or trackback from your own site.